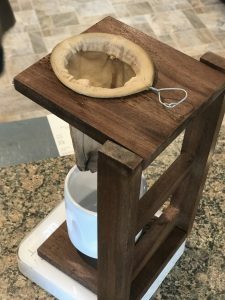 A new coffee shop had come to town! Just 30 minutes away – I was thrilled! It had opened in an area that was starving for good local coffee. The next opportunity I had, I took a drive to check it out. 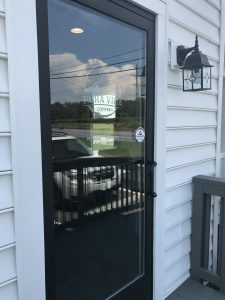 The coffee shop was Pura Vida CoffeeÂ Â in Hagerstown, MD. 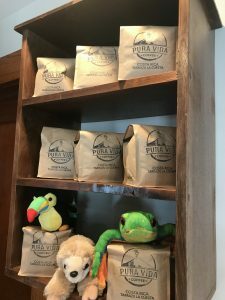 Pura Vida is family owned and all about Costa Rica! The cafe is located in an updated old farmhouse they renovated themselves. From the moment you walk in you can feel a love for Costa Rica, the coffee and the people. By taking a trip to the country of Costa Rica prior to opening, the owners were able to capture the heart of Costa Rica in a cafe. The cafe is large and filled with beautiful Costa Rican furniture handcrafted by the nationals. This experience gave them a love for the Costa Rican people, and inspired them to name the cafe, Pura Vida. 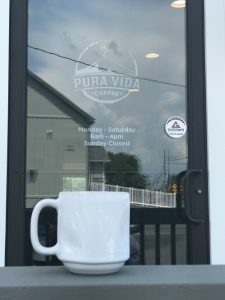 Pura Vida exemplifies hospitality in every way, from the owners to the baristas, you feel right at home when you walk in. They have partnered with a fellow coffee roaster, Lamplighter Coffee, which roasts their beans for them. When I learn a new coffee shop partners with an established roaster, it speaks volumes to me. It tells me that the owner is aware that coffee is an ongoing learning experience and understands that in order to be successful, you must seek out the best. 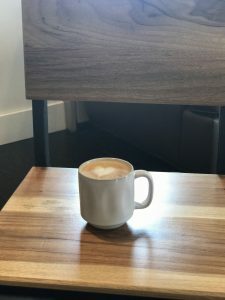 Several months back, I visited Lamplighter Coffee Roasters in Richmond, VA. (My Trip to Lamplighter Coffee ) To this day, it remains one of my favorite coffee roasters & shop. Upon learning that Pura Vida had been taken under Lamplighters wings, Â I knew then, this place would not only be good, but continue to get better! I ordered a cappuccino and a pour over made with a coffee sock, (a traditional way pour over coffee is made in South America.) 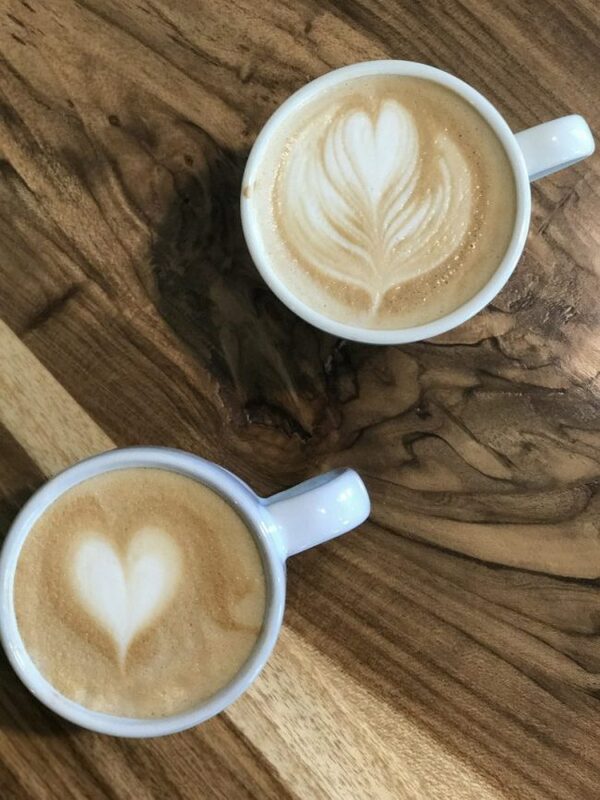 My coffees were incredible! I sat down on the beautiful furniture and just took everything inâ€¦â€¦such a great spot! Iâ€™ve returned several times since my first visit and each time, I am so pleased. I will say that I do wish the size of their iced coffees was a bit larger. Compared to other shops, the iced coffee cup sizes runs small. 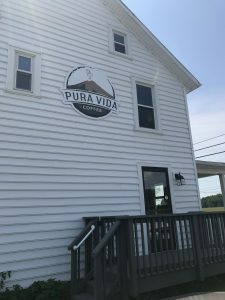 Pura Vida Coffee also offers a full lunch menu and pastries too! Pura Vida is the perfect spot to meet up with a friend, have some lunch AND enjoy the taste and feel of Costa Rica! Let me know when you go and make sure to tell them The Cappuccino Traveler sent you! Have gone there. If you havenâ€™t gone you need to go. Nice little place to have coffee. They also have breakfast, lunch, & Dinner. Itâ€™s a nice little cozy place. This is a cute little cafe! Great Coffee. Thanks SO much for the review! We have enjoyed following The Cappuccino Traveler! I had the esteemed pleasure of being their very first customer. I live within walking distance, and I am very happy to have them in the area. The owners and staff are amazing. Nothing but good things coming out of this place.